I think I’m about ready to take the Target plunge, especially after reading Heather’s post here. It’s nice to see how the deals are actually working in the Portland Metro area. Remember couponing ettiquette: play nice & leave some loot for other deal hunters! 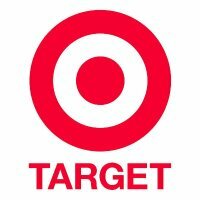 Edit: Here’s a link to Target’s coupon policy. It’s not from their website, but it should work. I suggest you print it and carry a copy with you when you stack coupons at Target. Got three packs of “FREE” deodorant, + $.46 overage on each!